For 2017, T/C offers their new Compass in 6.5 Creedmoor and it is full of features most will appreciate, as well as its aggressively low price. Retailing for just $399, it sells at an enticing $325 or so street price, complete with Weaver-style bases, swivel studs, an MOA accuracy guarantee, and a Lifetime Written Warranty. It has a thermoplastic stock with a soft recoil pad, and a three-position wing-type safety. 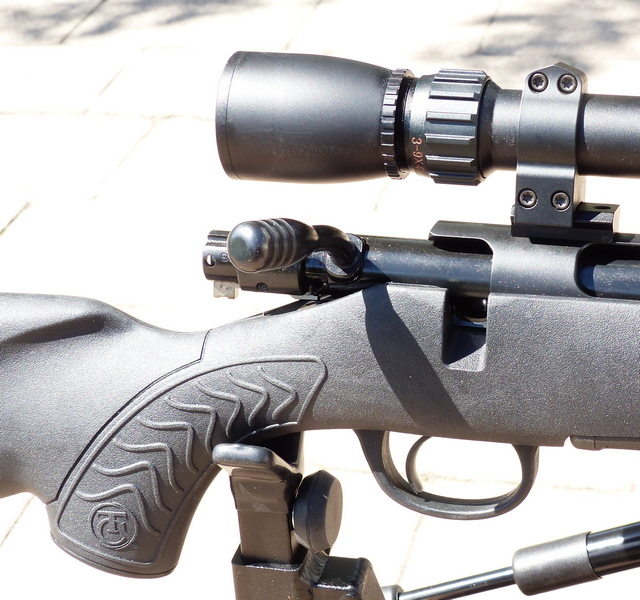 Unlike many other entry level rifles, the bolt handle locks into closed position, so you won't have a branch or bush opening your action for you on a hunt. 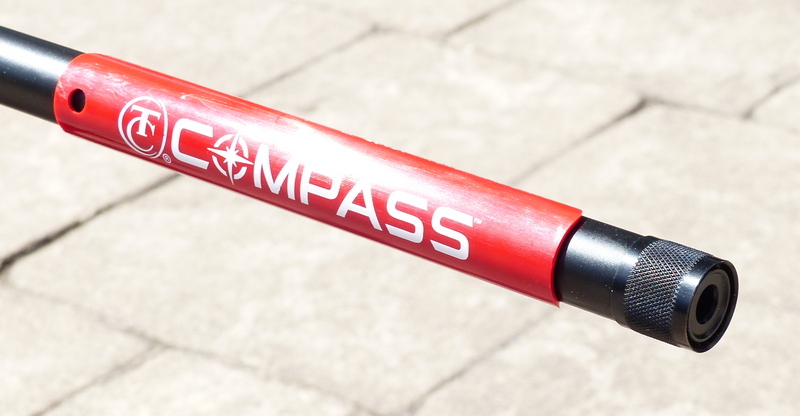 The T/C Compass also has a threaded muzzle which many economy model rifles lack. As you can see above, the bolt to scope clearance is generous die to the 60 degree bolt lift: I've mounted a Sightron SII Big Sky 3-9 x42mm scope. As supplied, the very crisp trigger breaks at a heavy 5-1/2 lbs. or so, but it is user-adjustable. Thompson also did a fine job with its flush-fitting rotary magazine. It is about a 7-1/4 lb. rifle, with the included and installed bases and sling studs. Thompson and S & W have been on a roll lately as far as products I've tested: the T/C Strike muzzleloader is the best for the dollar on the market today and Smith & Wesson hit a home run with their new M&P 9 M2.0 pistol as far as I'm concerned. What's not to like for the money? Very good question! In Part Two, we will report how it shoots and if it lives up to the MOA claim, T/C has a big winner on their hands.